Some citizen activists and Wichita city council members believe that a single $500 campaign contribution from a corporation has a corrupting influence. But stacking dozens of the same $500 contributions from executives and spouses of the same corporation? Not a problem. The city believed the proposed action was necessary to comply with recent court rulings. Under the proposed ordinance — which was passed by the council — corporations, labor unions, and political action committees would be able to make a single campaign contribution per election cycle of up to $500, the same limit as for individuals. But those who oppose the measure said they were concerned about opening up local elections to party-affiliated groups like PACs and about transparency since PACs do not have to report their individual donors. “Individuals should decide elections, not corporations,” Frye said. Several members of the public spoke against the changes. “People in the shadows are going to be pulling your strings,” said Russ Pataki. So, people are concerned about the corrupting influence of political campaign donations from corporations and political action committees. Citizens — and the Wichita Eagle — believe that currently the city council is free from this influence. But the reality of city council campaign financing is different. Stacked campaign contributions received by James Clendenin from parties associated with Key Construction. Click for larger version. In my testimony at the December 1 meeting, I explained that there are a few corporations that stack campaign contributions in a way that circumvents prohibitions. Although I did not mention it at the meeting, sometimes campaign finance reporting laws allowed this to happen without disclosure until after relevant action had happened. To illustrate, here is a timeline of events involving just one company and its campaign contributions. Executives of Key Construction and their spouses make six contributions to the Lavonta Williams campaign, totaling $3,000. Executives of Key Construction and their spouses make eight contributions to the Carl Brewer campaign, totaling $4,000. 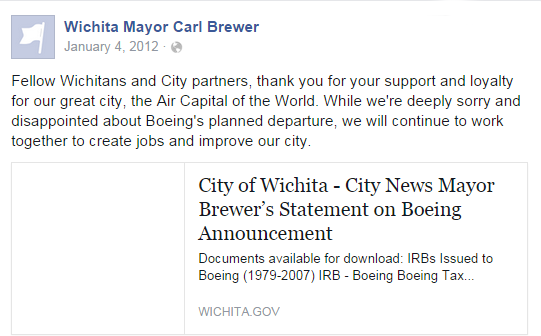 Brewer was Wichita mayor running for re-election in 2011. Executives of Key Construction and their spouses make eight contributions to the Jeff Longwell campaign, totaling $4,000. The City of Wichita is preparing to build a new airport terminal with a cost of around $100 million. Key Construction and Dondlinger and Sons Construction are two bidders. The contract is controversial. Dondlinger submitted a lower bid than Key, but it was alleged that Dondlinger’s bid did not meet certain requirements. Executives of Key Construction and their spouses make six contributions to the James Clendenin campaign, totaling $3,000. 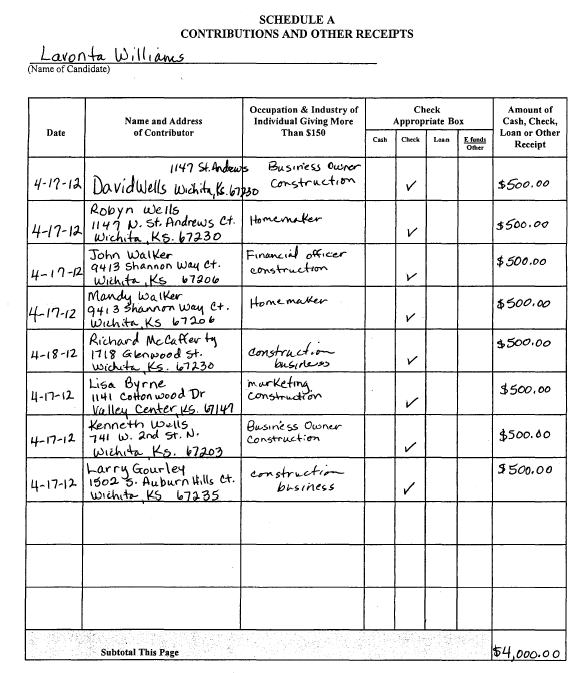 Stacked campaign contributions to Lavonta Williams from Key Construction associates. Click for larger version. On this day and the next, executives of Key Construction and their spouses make eight contributions to the Jeff Longwell campaign for Sedgwick County Commission, totaling $4,000. At the time, Longwell was a Wichita city council member. On this day and the next, executives of Key Construction and their spouses make eight contributions to the Lavonta Williams campaign, totaling $4,000. An additional $2,250 in contributions from Walbridge executives to the Jeff Longwell campaign for Sedgwick County Commission campaign is reported. 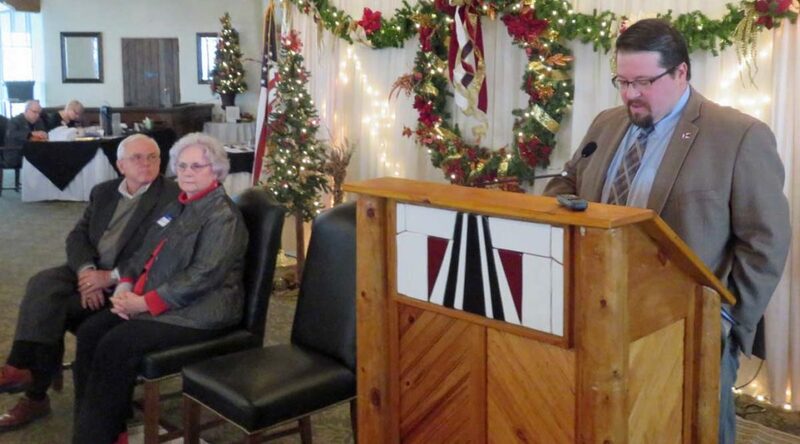 Williams and Clendenin file campaign finance reports for the calendar year 2012. This is the first opportunity to learn of the campaign contributions from Key Construction executives and their spouses during 2012. For Williams, the Key Construction-related contributions were the only contributions received for the year. Clendenin received contributions from Key Construction-related individuals and parties associated with one other company during the year. Is there a pattern? Yes. Key Construction uses its executives and their spouses to stack individual contributions, thereby bypassing the prohibition on campaign contributions from corporations. This has been going on for some time. It is exactly the type of corrupting influence that citizens are worried about. It has been taking place right under their eyes, if they knew how or cared to look. And Key Construction is not the only company to engage in this practice. Just to summarize: The Wichita city council was charged to decide whether city officials had “abused their discretion or improperly applied the law.” That sounds almost like a judicial responsibility. How much confidence should we have in the justice of a decision if a majority of the judges have taken multiple campaign contributions from executives (and their spouses) of one of the parties? In some ways, it is understandable that citizens might not be aware of this campaign contribution stacking. The campaign finance reports that council members file don’t contain the name of contributors’ employers. It takes a bit of investigation to uncover the linkage between contributors and the corporations that employ them. For citizens, that might be considered beyond the call of duty. But we should expect better from organizations like the League of Women Voters. Certainly there is no excuse for the Wichita Eagle to miss or avoid things like this. Even worse, it is disgraceful that the Eagle would deny the problem, as it did in its November 23 article quoted above. In summary, some citizen activists — most council members, too — believe that a single $500 campaign contribution from a corporation has a corrupting influence. But stacking dozens of the same $500 contributions from executives and spouses of the same corporation? Not a problem. Either that, or we need council members with sufficient character to recognize when they should refrain from voting on a matter. A change to Wichita city election law is likely to have little practical effect. The intent of this law is to limit the influence of businesses and unions on city elections. This week the Wichita City Council will consider striking this portion of city code. The contribution limit of $500 to a candidate for the primary election, and $500 again for the general election, is proposed to be retained. The practical effect of removing the restriction on campaign contributions from corporations and other entities is likely to be minor. Here’s why. Last year, lamenting the role of money in national elections, a Wichitan wrote in the Wichita Eagle “Locally, I understand that elections for the Wichita City Council underwent ideal, nonpartisan campaign-finance reform years ago, and that these limits are scrupulously practiced.” This view is naive and doesn’t reflect the reality of current campaign finance practice in Wichita. That is, the stacking of contributions from multiple members of interested groups. For example, a frequent practice is that a business might have several of its executives and their spouses make contributions to a candidate. Because the contributions are made by multiple people, the money is contributed within the campaign finance limitation framework. But the net effect is a lot of money going to a candidate’s campaign in order to advance the interests of the business, thereby circumventing the intent of campaign finance restrictions. Here’s how a handful of self-interested groups stack campaign contributions. In 2012 council members James Clendenin (district 3, southeast and south Wichita) and Lavonta Williams (district 1, northeast Wichita) were preparing to run again for their offices in spring 2013. Except for $1.57 in unitemized contributions to Clendenin, two groups of related parties accounted for all contributions received by these two incumbents for an entire year. A group associated with Key Construction gave a total of $7,000 — $4,000 to Williams, and $3,000 to Clendenin. Another group of people associated with movie theater owner Bill Warren gave $5,000, all to Clendenin. 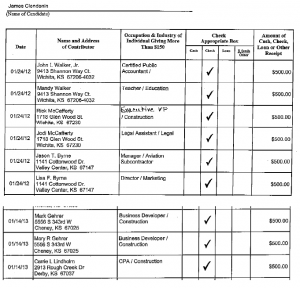 Stacked campaign contributions to Jeff Longwell from Key Construction associates. Click for larger version. In July 2012, as Wichita Mayor Jeff Longwell (then a city council member) was running for the Sedgwick County Commission, his campaign received a series of contributions from a Michigan construction company. 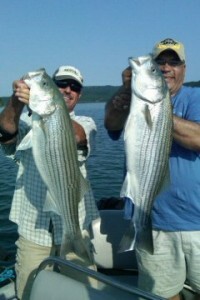 Several executives and spouses contributed. At the time, Longwell was preparing to vote in a matter involving a contract that the Michigan company and its Wichita partner wanted. That partner was Key Construction, a company that actively stacks contributions to city council candidates. Longwell has also received stacked contributions from Key Construction. The casual observer might not detect the stacking of campaign contributions by looking at campaign finance reports. That’s because for city offices, the name of the company a contributor works for isn’t required. Industry and occupation are required, but these aren’t of much help. Further, contribution reports are not filed electronically, so the information is not easy to analyze. Some reports are even submitted using handwriting, and barely legible handwriting at that. In other words, you can make contributions to candidates. You can ask the council to give you contracts and other stuff. But you can’t do both. It’s a reform we need, but our elected officials are not interested. A Wichita newspaper op-ed is either ignorant of, or decides to forgive and excuse, bad behavior in Wichita government, particularly by then-mayoral candidate Jeff Longwell. 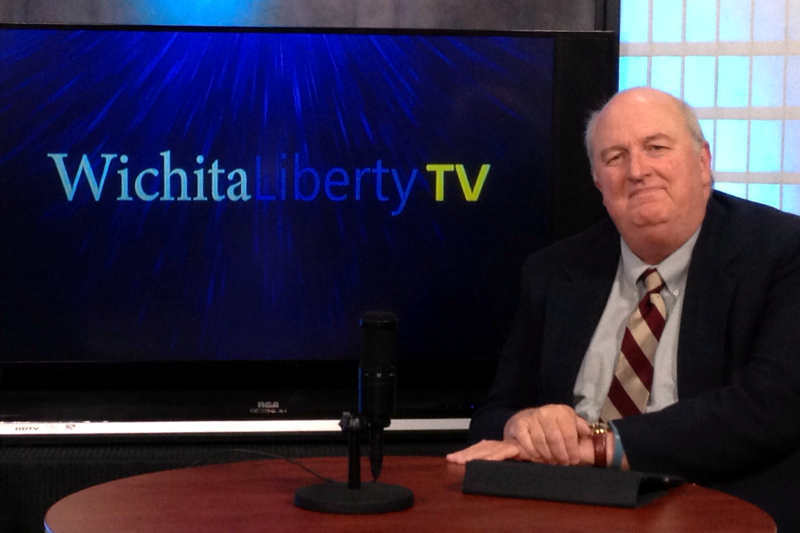 In a column just before the April 2015 Wichita election, Bill Wilson, managing editor of the Wichita Business Journal, reported on fallacies during the mayoral campaign, fallacies he called “glaring.” 1 But only a juvenile interpretation of the facts surrounding the events could find them fallacious. This is especially troubling since Wilson covered city hall as a reporter for the Wichita Eagle. In his column Wilson had an explanation as to why the council voted the way it did. That explanation was a matter of dispute that the council had to resolve. But the validity of the explanation is not the point. The point is something larger than any single issue, which is this: The Wichita city council was asked to make decisions regarding whether discretion was abused or laws were improperly applied. It is not proper for a council member to participate in decisions like this while the ink is still wet on campaign contribution checks from a party to the dispute. Jeff Longwell should not have voted on this matter. Wichita Mayor Carl Brewer with major campaign donor Dave Wells of Key Construction. Brewer has voted to send millions to Key, including overpriced no-bid contracts. 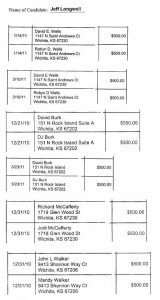 In Wichita, city council members receive campaign contributions while participating in a quasi-judicial proceeding involving the contributors. This doesn’t seem to be improper to the Wichita Business Journal. But it isn’t alone. The Wichita Eagle doesn’t object to any of this. Well, maybe once in a while it does, but not very strenuously or for very long. Another problem: Wilson dismisses the claim that Longwell was able to exert much influence over the other six council members in order to benefit a project in his council district. But during the campaign, Longwell eagerly took credit for the good things that the city council did. Though Longwell was but one of seven votes, his commercials made it seem like he performed these deeds all by himself. But when things go wrong, well, he’s just one of seven votes. A few points: First, it’s not just a $500 contribution. We find many examples of individual $500 contributions from executives of the same company, along with spouses and other family members. The contributions are effectively stacked. Second, sometimes campaigns are funded to a large extent by these stacked contributions from just one or two firms. 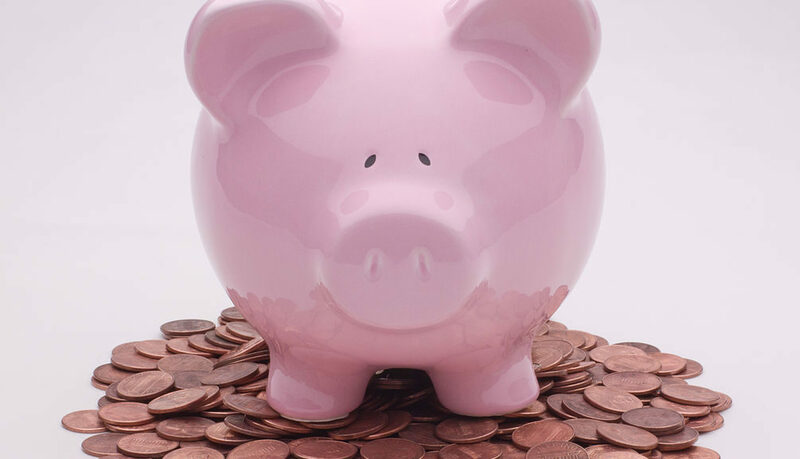 5 Third, if these contributions are not seen as valuable to those who make them, why do the same small groups of business interests make the maximum contributions year after year? As far as the claims being debunked: A few weeks ago I showed you the inexplicably bad reporting from the Wichita Eagle. 6 The Business Journal didn’t do any better. Wilson’s op-ed seems more like an audition for a job at city hall than a critical look at the campaign and its issues. Making a move from news media to a government job in communications is a common career move. There are three former journalists working in Wichita city hall. 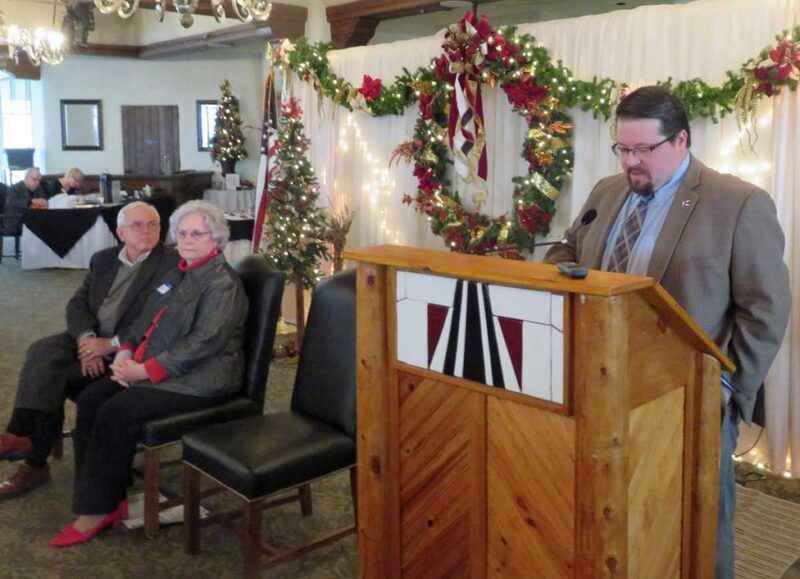 One former Wichita Eagle reporter went to work for the Wichita school district. There are many examples in Topeka. It’s a problem when journalists who are supposed to be exercising watchdog duty over government agencies end up working for them. We can also recognize when journalists are auditioning for jobs in government. Based on events in Wichita, the Wall Street Journal wrote “What Americans seem to want most from government these days is equal treatment. They increasingly realize that powerful government nearly always helps the powerful …” But Wichita’s elites don’t seem to understand this. 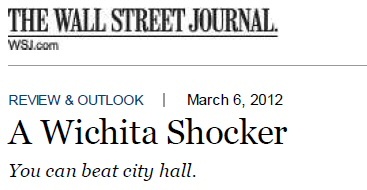 Three years ago from today the Wall Street Journal noted something it thought remarkable: a “voter revolt” in Wichita. Citizens overturned a decision by the Wichita City Council regarding an economic development incentive awarded to a downtown hotel. It was the ninth layer of subsidy for the hotel, and because of our laws, it was the only subsidy that citizens could contest through a referendum process. What Americans seem to want most from government these days is equal treatment. They increasingly realize that powerful government nearly always helps the powerful, whether the beneficiaries are a union that can carve a sweet deal as part of an auto bailout or corporations that can hire lobbyists to write a tax loophole. The “elites” referred to include the Wichita Metro Chamber of Commerce, the political class, and the city newspaper. Since then, the influence of these elites has declined. Last year all three campaigned for a sales tax increase in Wichita, but voters rejected it by a large margin. It seems that voters are increasingly aware of the cronyism of the elites and the harm it causes the Wichita-area economy. 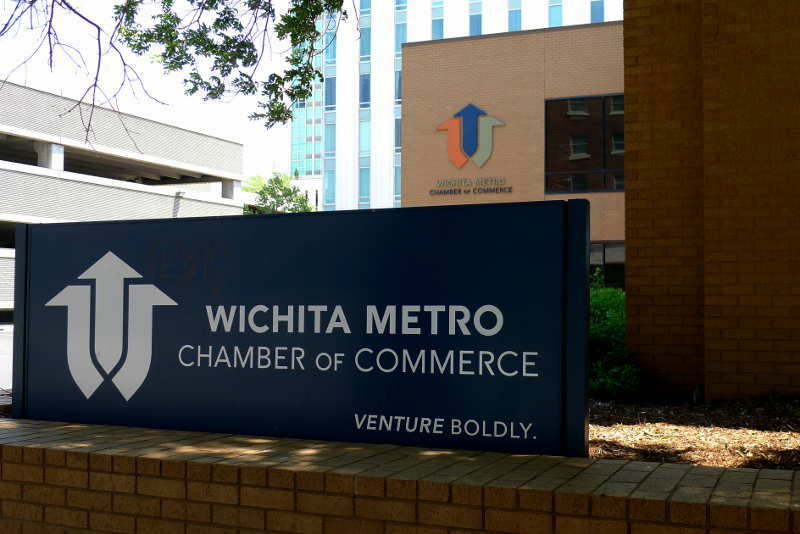 Last year as part of the campaign for the higher sales tax the Wichita Chamber admitted that Wichita lags in job creation. The other elites agreed. But none took responsibility for having managed the Wichita economy into the dumpster. 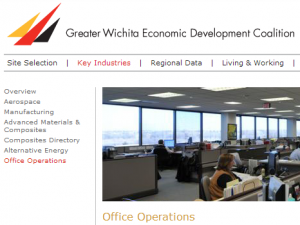 Even today the local economic development agency — which is a subsidiary of the Wichita Chamber — seeks to shift blame instead of realizing the need for reform. The city council still layers on the levels of subsidy for its cronies. “Local politicians like to get in bed with local business, and taxpayers are usually the losers. So three cheers for a voter revolt in Wichita, Kansas last week that shows such sweetheart deals can be defeated.” So starts today’s Wall Street Journal Review & Outlook editorial (subscription required), taking notice of the special election last week in Wichita. The editorial page of the Wall Street Journal is one of the most prominent voices for free markets and limited government in America. Over and over Journal editors expose crony capitalism and corporate welfare schemes, and they waste few words in condemning these harmful practices. The three Republican members of the Wichita City Council who consider themselves fiscal conservatives but nonetheless voted for the corporate welfare that voters rejected — Pete Meitzner (district 2, east Wichita), James Clendenin (district 3, southeast and south Wichita), and Jeff Longwell (district 5, west and northwest Wichita) — need to consider this a wake up call. These members, it should be noted, routinely vote in concert with the Democrats and liberals on the council. For good measure, we should note that Sedgwick County Commission Republicans Dave Unruh and Jim Skelton routinely — but not always — vote for these crony capitalist measures. The Wichita business community, headed by the Wichita Metro Chamber of Commerce endorsed this measure, too. Hopefully this election will convince Wichita’s political and bureaucratic leaders that our economic development policies are not working. Combined with the startling findings by a Tax Foundation and KMPG study that finds Kansas lags near the bottom of the states in tax costs to business, the need for reform of our spending and taxing practices couldn’t be more evident. It is now up to our leaders to find within themselves the capability to change — or we all shall suffer. 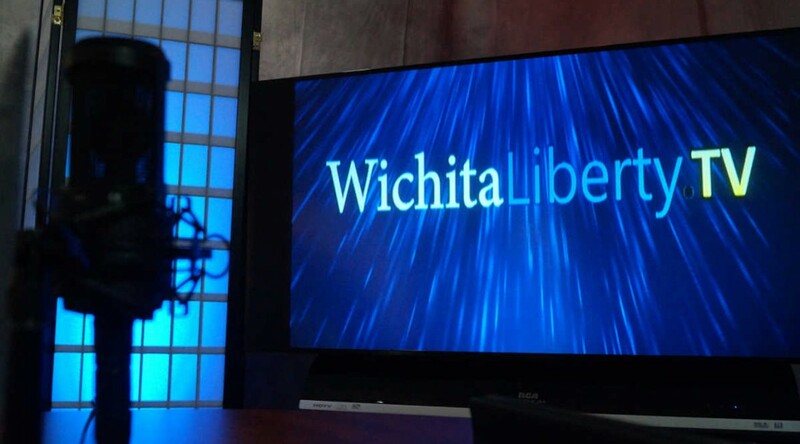 In this episode of WichitaLiberty.TV: An episode this week at the Wichita city council meeting highlights the need for campaign finance reform in Wichita. We’ll examine a few incidents and see if there’s a way we can reform Wichita city government so that it is capitalism friendly instead of crony friendly. View below, or click here to view at YouTube. Episode 69, broadcast December 21, 2014. Those seeking favors from Wichita City Hall use campaign contribution stacking to bypass contribution limits. This has paid off handsomely for them, and has harmed everyone else. The writer is correct, but only superficially. Our campaign contribution limits for city and school board offices are relatively small. What we find, however, is that the cronies, that is, the people who want stuff from city hall, stack contributions using family members and employees. Here’s how a handful of cronies stack campaign contributions. In 2012 council members James Clendenin (district 3, southeast and south Wichita) and Lavonta Williams (district 1, northeast Wichita) were preparing to run again for their offices in spring 2013. Except for $1.57 in unitemized contributions to Clendenin, two groups of related parties accounted for all contributions received by these two incumbents for an entire year. A group associated with Key Construction gave a total of $7,000 — $4,000 to Williams, and $3,000 to Clendenin. Another group of people associated with movie theater owner Bill Warren gave $5,000, all to Clendenin. The casual observer wouldn’t realize this stacking of campaign contributions by looking at campaign finance reports. That’s because for city offices, the name of the company a contributor works for isn’t required. Industry and occupation are required, but these aren’t of much help. Further, contribution reports are not filed electronically, so the information is not easy to analyze. Some reports are even submitted using handwriting, and barely legible handwriting at that. So it’s not easy to analyze campaign contributions for Wichita city offices. It takes a bit of effort to unpack the stacking. You have to see a name and investigate who that person is. When you do that, you might find that a man from Valley Center who list his occupation and industry as Manager and Aviation Subcontractor is married to someone who lists her occupation and industry as Director of Marketing. Investigating her reveals that she is an executive of Key Construction. That company, Key Construction, is a prominent company in Wichita. It is an example of a company that seeks to earn outsized profits through the political system rather than by meeting customer needs in the market. Profits through cronyism, that is. Here’s an example. In August 2011 the Wichita city council voted to award Key Construction a no-bid contract to build the parking garage that is part of the Ambassador Hotel project, now known as Block One. The no-bid cost of the garage was to be $6 million, according to a letter of intent. Later the city decided to place the contract for competitive bid. Key Construction won the bidding, but for a price $1.3 million less. Let me make sure you understand that. Mayor Carl Brewer, Lavonta Williams, and James Clendenin were willing to spend an extra $1.3 million of your tax money to reward their benefactors through a no-bid contract. Since then reforms have been implemented to prevent this. Hopefully the reforms will work. I am skeptical. Wichita Mayor Carl Brewer with major campaign donor Dave Wells of Key Construction. Brewer has voted for no-bid contracts for Key. In 2012 there was another incident involving Key Construction that show the need for campaign finance reform. Key and another construction company were engaged in a dispute as to who should build the new Wichita airport. The city council was tasked to act in a quasi-judicial manner to decide the issue. Given all the campaign contributions Key was making at the time, and given the mayor’s well-known friendship with Dave Wells of Key Construction, can you guess who was awarded the contract? And can you guess whose contract was more expensive for taxpayers? That’s bad enough. Here in Wichita, however, the cronyism is more concentrated and personal. The links between campaign contributions and handouts from city hall is much more direct. We should insist that the city council stop picking the pocket of your fellow man so it can give the proceeds to campaign contributors. Campaign finance reform can help. 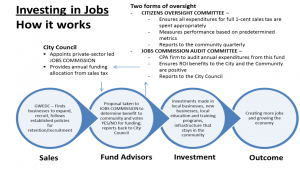 Actions of the Wichita City Council have shown that campaign finance reform is needed. Citizen groups are investigating how to accomplish this needed reform, since the council has not shown interest in reforming itself. The council voted to give a movie theater operator a no-interest and low-interest loan, after having already received the benefit of tax increment financing. A minister dabbling in real estate development made a large contribution to his council representative just before he asked the city council for tax increment financing. 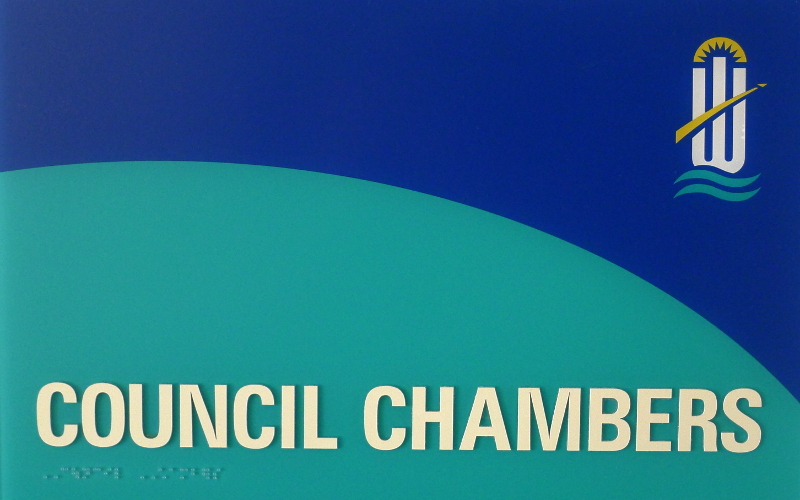 The council voted to give a construction company a no-bid contract for a parking garage. When later put out for competitive bid, the same company won the contract, but with a bid 21 percent less costly to taxpayers. Executives of a Michigan construction company made contributions to the campaign of a city council member just before and after the council voted to give the company and its local partner a huge construction contract. When a group of frequent campaign contributors wanted to win a contest for the right to build an apartment project, the city’s reference-checking process was a sham. City and other government officials were listed as references without their knowledge or consent, and none of the people listed as references were actually contacted. 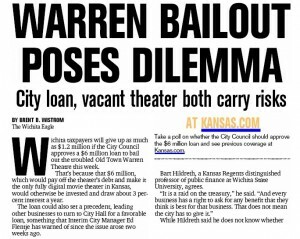 A frequent campaign contributor, according to the Wichita Eagle, “represented himself as an agent of the city — without the city ‘s knowledge or consent — to cut his taxes on publicly owned property he leases in the Old Town Cinema Plaza.” City officials expressed varying degrees of displeasure. But it wasn’t long before David Burk was receiving taxpayer subsidy again from the city council. The council voted to grant $703,017 in sales tax forgiveness to frequent campaign contributors and the mayor’s fishing buddy. What is the common thread running through these incidents? 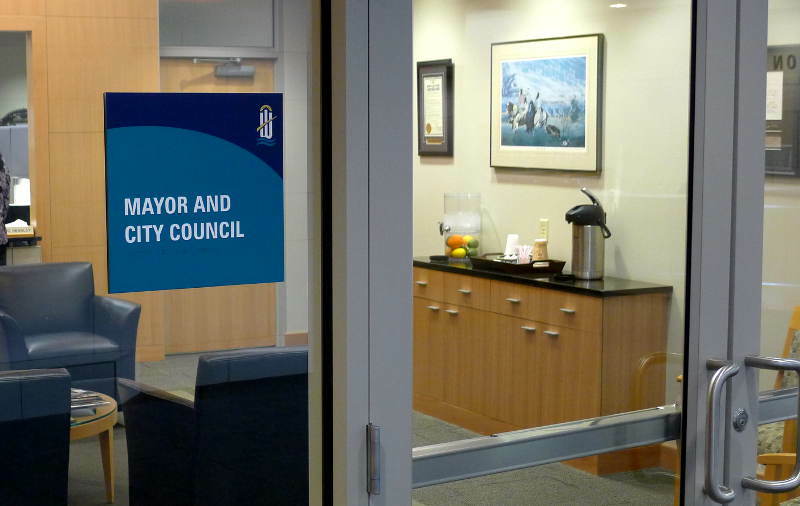 Council members have voted to enrich their significant campaign contributors. Each of these are examples of a “pay-to-play” environment created at Wichita City Hall. It’s harmful to our city in a number of ways. First, overpriced no-bid contracts and other giveaways to campaign contributors isn’t economic development. It’s cronyism. It’s wasteful. Second: Citizens become cynical when they feel there is a group of insiders who get whatever they want from city hall at the expense of taxpayers. At one time newspaper editorial pages crusaded against cronyism like this. But no longer in Wichita. The Wichita Eagle has reported on some of these issues — sometimes in depth, sometimes in passing, but some have escaped notice. The editorial page of the newspaper sometimes takes notice, but is rarely critical of the council or mayor. Third, when it is apparent that a “pay-to-play” environment exists at Wichita City Hall, it creates a toxic and corrosive political and business environment. Companies are reluctant to expand into areas where they don’t have confidence in the integrity of local government. Will I find my company bidding against a company that made bigger campaign contributions than I did? If I don’t make the right campaign contributions, will I get my zoning approved? Will my building permits be slow-walked through the approval process? Will my projects face unwarranted and harsh inspections? Will my bids be subjected to microscopic scrutiny? Importantly: Will the Wichita city council prop up a competitor to my company with economic development incentives that place my company at severe disadvantage? 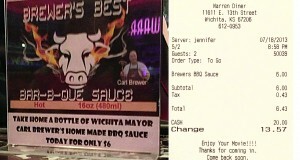 Wichita’s mayor sells his barbeque sauce at movite theaters owned by a campaign contributor who receives city taxpayer subsidies. We’d also need to add — as does New Jersey law — provisions that contributions from a business owner’s spouse and children will be deemed to be from the business itself. This is because for Kansas municipal and school district elections, only personal contributions may be made. Additionally the contributions of principals, partners, officers, and directors, and their spouses and children, are considered to be from the business itself for purposes of the law. These provisions are important, as many city council members in Wichita receive campaign contributions from business owners’ family members and employees as a way to skirt our relatively small contribution limits. For two examples of how companies use family members, employees, and friends to stack up campaign contributions, see Campaign contributions show need for reform in Wichita. Such campaign finance reform would not prohibit anyone from donating as much as they want (up to the current limits) to any candidate. Nor would the law prevent candidates from accepting campaign contributions from anyone. This reform, however, would remove the linkage between significant contributions and voting to give money to the contributor. 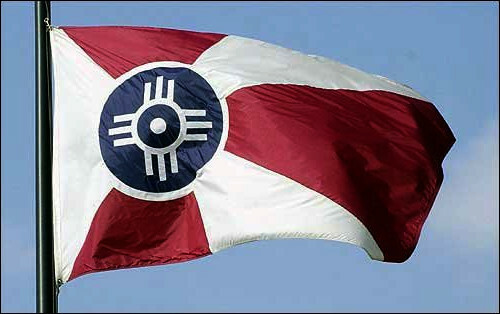 This would be a big step forward for Wichita, its government, and its citizens. 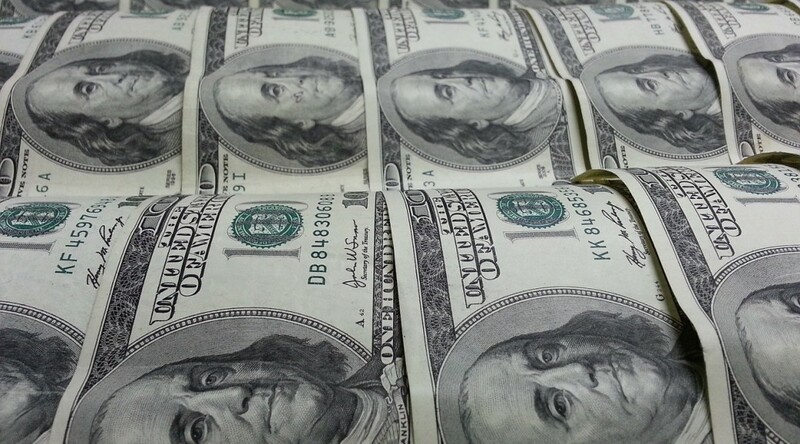 Proponents see three paths towards campaign finance reform. One would be to press for a law in the upcoming session of the Kansas Legislature. Such a law would be statewide in scope, and could apply to city councils, county commissions, school boards, townships, and other elective bodies. A second path would be to use the municipal initiative process. Under this process, a group writes a proposed ordinance. Then, it collects valid signatures on petitions. If a successful petition is verified, the city council must either (a) pass the ordinance as written, or (b) set an election to let the people vote whether the ordinance should become law. 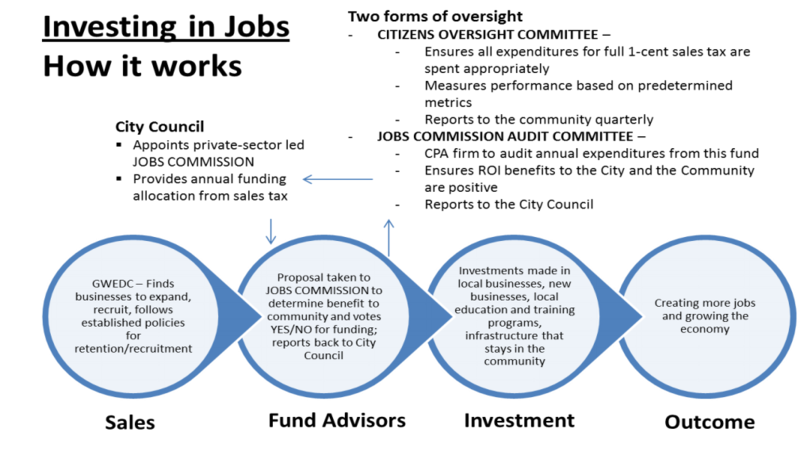 There is also a third path, which is for the Wichita City Council to recognize the desirability of campaign finance reform and pass such an ordinance on its own initiative. If we take the affected parties at their word, this third path should face little resistance. That’s because politicians who accept these campaign contributions say it doesn’t affect their voting, and those who give the contributions say they don’t do it to influence votes. If politicians and contributors really mean what they say, there should be no opposition to such a law. Citizens should ask the Wichita City Council to pass a campaign finance reform ordinance that prohibits voting to enrich significant campaign contributors. “I would never do anything because of a campaign contribution,” said [former council member Sharon] Fearey, who received $500 from David Burk and $500 from David Wells. “I don’t think $500 buys a vote,” said [former council member Sue] Schlapp. 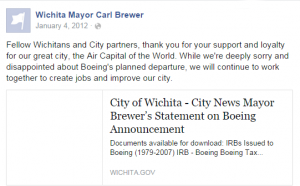 “One has nothing to do with the other,” [Wichita Mayor Carl] Brewer said. Also in 2008, the Reverend Dr. Kevass J. Harding wanted to spruce up the Ken-Mar shopping center at 13th and Oliver, now known as Providence Square. Near the end of June, Kevass Harding and his wife contributed a total of $1,000, the maximum allowed by law, to the campaign of Wichita City Council Member Lavonta Williams (district 1, northeast Wichita). This was right before Harding appeared before the city council in July and August as an applicant for tax increment district financing (TIF). These campaign contributions, made in the maximum amount allowable, were out of character for the Hardings. They had made very few contributions to political candidates, and they appear not to have made many since then. 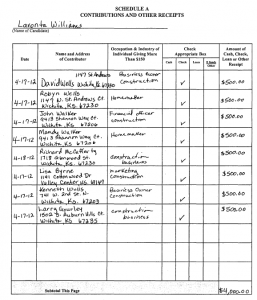 Campaign contributions to Wichita City Council member Lavonta Williams from an applicant for tax increment financing. But just before the Ken-Mar TIF district was to be considered for approval, the Hardings made large contributions to Williams, who is the council member representing Ken-Mar’s district. Harding would not explain why he made the contributions. Williams offered a vague and general explanation that had no substantive meaning. 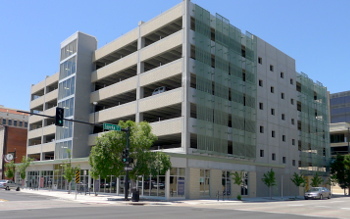 In August 2011 the council voted to award Key Construction a no-bid contract to build the parking garage that is part of the Ambassador Hotel project, now known as Block One. The no-bid cost of the garage was to be $6 million, according to a letter of intent. Later the city decided to place the contract for competitive bid. Key Construction won the bidding, but for a price $1.3 million less. The no-bid contract for the garage was just one of many subsidies and grants given to Key Construction and Dave Burk as part of the Ambassador Hotel project. In Wichita city elections, individuals may contribute up to $500 to candidates, once during the primary election and again during the general election. As you can see in this table compiled from Wichita City Council campaign finance reports, spouses often contribute as well. So it’s not uncommon to see the David and DJ Burk family contribute $2,000 to a candidate for their primary and general election campaigns. That’s a significant sum for a city council district election campaign cycle. Click here for a compilation of campaign contributions made by those associated with the Ambassador Hotel project. Council Member Jeff Longwell (district 5, west and northwest Wichita), in his second term as council member, led the pack in accepting campaign contributions from parties associated with the Ambassador Hotel project. For his most recent election, he received $4,000 from parties associated with Key Construction, and $2,000 from David Burk and his wife. Total from parties associated with the Ambassador Hotel project: $6,000. When Longwell ran for Sedgwick County Commission this summer, these parties donated generously to that campaign, too. Council Member Lavonta Williams (district 1, northeast Wichita) received $5,000 from parties associated with the Ambassador Hotel: $3,000 from parties associated with Key Construction, and $2,000 from David Burk and his wife. 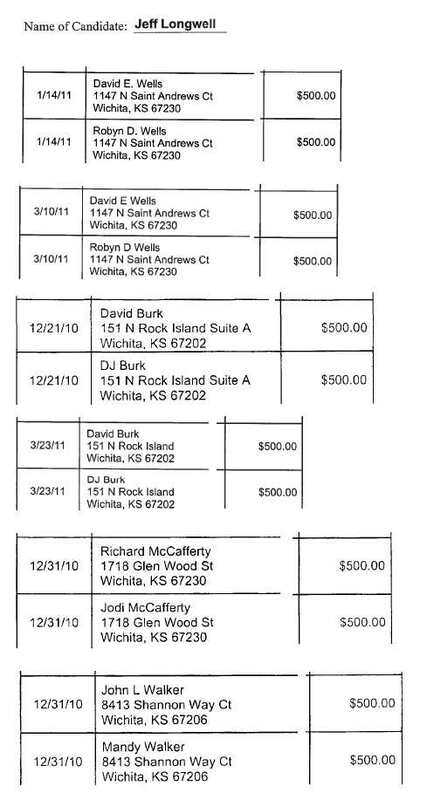 Wichita Mayor Carl Brewer received $5,000 from parties associated with the Ambassador Hotel: $4,500 from parties associated with Key Construction, and $500 DJ Burk, David Burk’s wife. Council Member and Vice Mayor Janet Miller (district 6, north central Wichita) received $3,500 during her 2009 election campaign from parties associated with the Ambassador Hotel: $1,500 from parties associated with Key Construction, and $2,000 from David Burk and his wife. For his 2011 election campaign, Council Member Pete Meitzner (district 2, east Wichita) received $3,500 from parties associated with the Ambassador Hotel: $2,500 from parties associated with Key Construction, and $1,000 from David Burk and his wife. 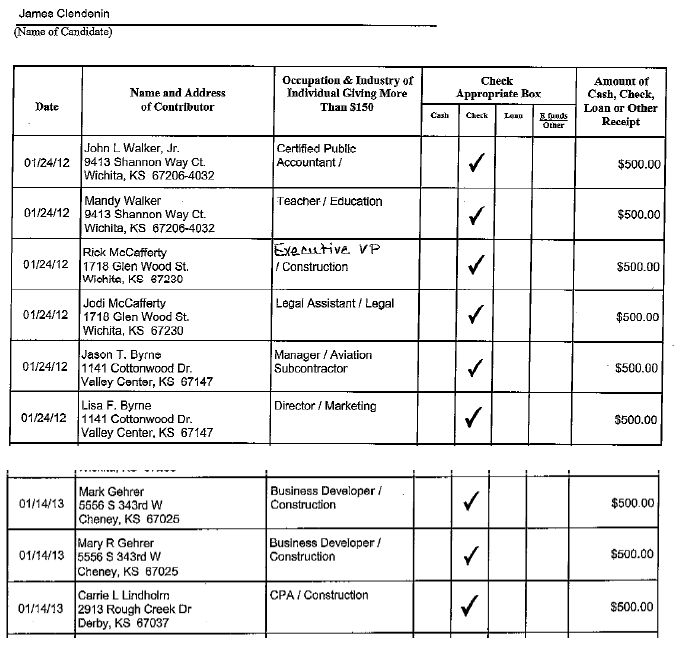 For his 2011 election campaign, Council Member James Clendenin (district 3, southeast and south Wichita) received $1,500 from parties associated with the Ambassador Hotel: $1,000 from parties associated with Key Construction, and $500 from David Burk and his wife. In 2011 nearly all council members approved a no-bid contract for this garage. It was later re-bid at a much lower price. 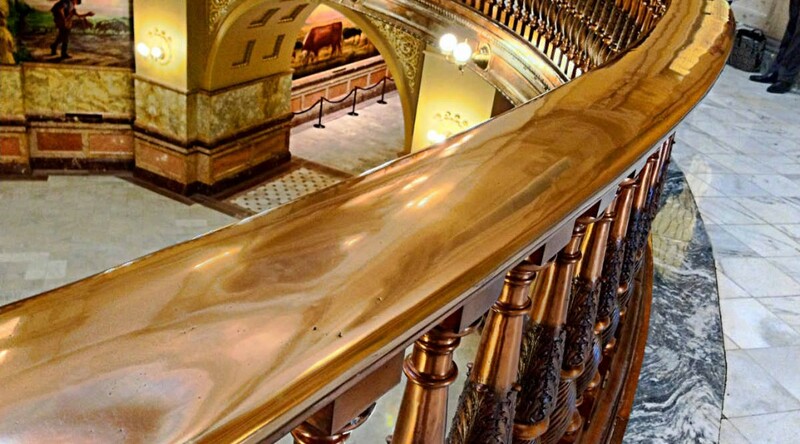 What citizens need to know is that the Wichita City Council was willing to spend an extra $1.3 million of taxpayer money to reward a politically-connected construction firm that makes heavy campaign contributions to council members. Only one council member, Michael O’Donnell, voted against this no-bid contract. No city bureaucrats expressed concern about this waste of taxpayer money. Of interest to current mayoral politics: In 2012 while Jeff Longwell was campaigning for the Sedgwick County Commission, campaign contributions from parties associated with Walbridge, a Michigan-based construction company appeared on Longwell’s campaign finance reports. Why would those in Michigan have an interest in helping a Wichita City Council member fund his campaign for a county office? Would the fact that Walbridge is a partner with Key Construction on the new Wichita Airport terminal provide a clue? 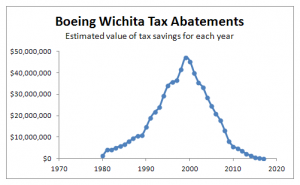 These contributions are of interest because on July 17, 2012, the Wichita City Council, sitting in a quasi-judicial capacity, made a decision in favor of Key and Walbridge that will cost some group of taxpayers or airport customers an extra $2.1 million. Five council members, including Longwell, voted in favor of this decision. Two members were opposed. On July 16 — the day before the Wichita City Council heard the appeal that resulted in Key Construction apparently winning the airport contract — John Rakolta, Chairman and Chief Executive Officer of Walbridge and his wife contributed $1,000 to Longwell’s campaign for Sedgwick county commissioner. Then on July 20, three days after the council’s decision in favor of Key/Walbridge, other Walbridge executives contributed $2,250 to Longwell’s campaign. Besides the Walbridge contributions, Key Construction and its executives contributed $6,500 to Longwell’s county commission campaign. Key and its executives have been heavy contributors to Longwell’s other campaigns, as well as to Wichita Mayor Carl Brewer and many other Wichita City Council members. A Wichita company asks for property and sales tax exemptions on the same day Wichita voters decide whether to increase the sales tax, including the tax on groceries. Supporters of a proposed sales tax in Wichita promise there will be no conflicts of interest when making spending decisions. That would be a welcome departure from present city practice. In November Wichita voters will decide on a new one cent per dollar sales tax, part to be used for economic development, specifically job creation. 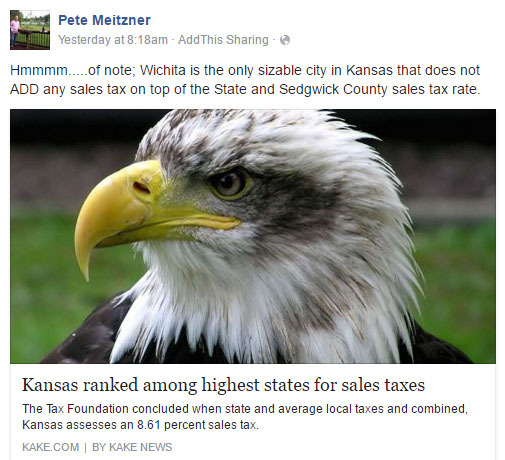 “Yes Wichita” is a group that supports the sales tax. Language on its website reads: “Conflict-of-interest policies will prohibit anyone from participating in decisions in which there is any self-interest.” The page is addressing the economic development portion of the proposed sales tax. It’s part of an effort to persuade Wichita voters that millions in incentives will be granted based on merit instead of cronyism or the self-interest of politicians, bureaucrats, and committee members. The problem is that while the city currently has in place laws regarding conflicts of interest, the city does not seem willing to observe them. If the proposed sales tax passes, what assurances do we have that the city will change its ways? Following, from October 2013, is one illustration of Wichita city hall’s attitude towards conflicts of interest and more broadly, government ethics. Is the City of Wichita concerned that its contracts contain language that seems to be violated even before the contract is signed? No member of the City’s governing body or of any branch of the City’s government that has any power of review or approval of any of the Developer’s undertakings shall participate in any decisions relating thereto which affect such person’s personal interest or the interests of any corporation or partnership in which such person is directly or indirectly interested. 1. Wichita Mayor Carl Brewer is a member of a governing body that has power of approval over this project. 2. Bill Warren is one of the parties that owns this project. 3. Bill Warren also owns movie theaters. 4. 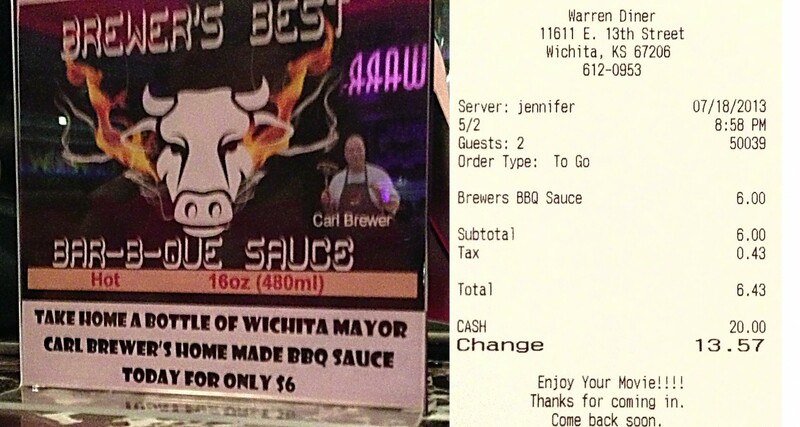 Wichita Mayor Carl Brewer owns a company that manufactures barbeque sauce. 5. Brewer’s sauce is sold at Warren’s theaters. The question is this: Does the mayor’s business relationship with Warren fall under the prohibitions described in the language of section 11.06? Evidently not. After I read section 11.06 I asked the mayor if he sold his sauce at Warren’s theaters. He answered yes. But no one — not any of the six city council members, not the city manager, not the city attorney, not any bureaucrat — thought my question was worthy of discussion. I recommend that if we are not willing to live up to this section of the contract that we strike it. Why have language in contracts that we ignore? Parties to the contract rationalize that if the city isn’t concerned about enforcing this section, why should they have to adhere to other sections? That language seems pretty clear to me. But we have a city attorney that says that this is simply advisory. If the city attorney’s interpretation of this law is controlling, I suggest we strike this section from the city code. Someone who reads this — perhaps a business owner considering Wichita for expansion — might conclude that our city has a code of ethics that is actually observed by the mayor and council members and enforced by its attorneys. 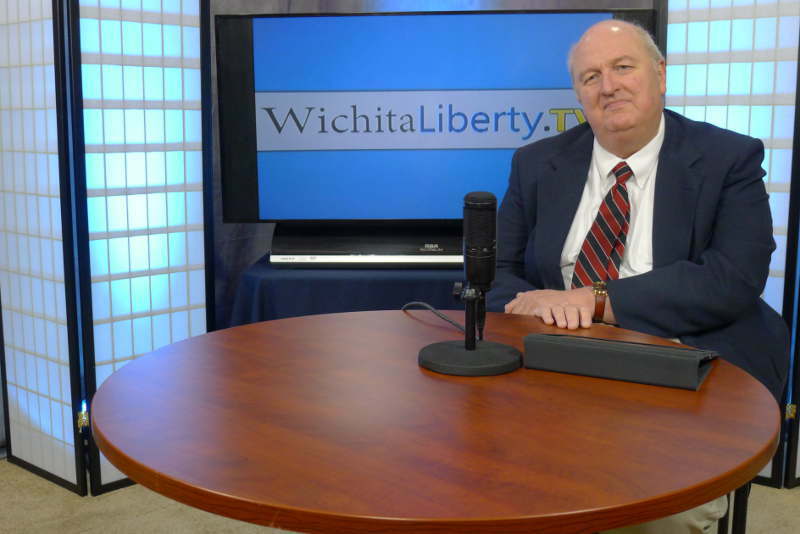 In this episode of WichitaLiberty.TV: Does Wichita have a problem with cronyism? The mayor, city council, and bureaucrats say no, but you can decide for yourself. Then, from LearnLiberty.org, the harm of cronyism at the national level. Episode 48, broadcast June 22, 2014. View below, or click here to view at YouTube.